Abdul Samad is a proficient Islamic Banker and has expertise in Islamic Finance Theory & Practices. He has graduated in Economics from International Islamic University, Islamabad and passed Derse-e-Niazmi from Tafheem-ul-Quran Mardan, NWFP. Afterwards, he completed Alimiyyah Degree from Rabita-ul-Madaris. He has also completed his LL.B (Hons.) Shariah & Law, with equivalency certificate of UGC to postgraduate Degree from International Islamic University Islamabad and completed his MBA (Finance) from Abaseen University, Peshawar. 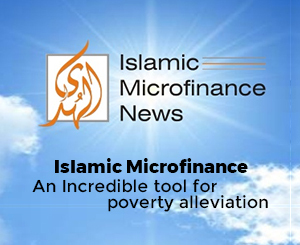 His contributions to Islamic finance industry are pervasive, as he has written various articles on Islamic Finance. He currently holds advisory position at Shariah advisor of Bank of Khyber and member of Shariah advisory board of AlHuda CIBE. He has attended various trainings and workshops conducted by NIBAF,IIU Islamabad, Bank of Khyber, Ford Rhodes Sidat Hyder& Co and IBP. He delivers lectures on Islamic Finance at different forums and educational institutions. Mufti Aziz-ur-Rehman has extensive experience in Shariah, Islamic Banking and Finance Transactions with Sound understanding of Fiqhul Mua’amalat (Islamic Commercial Transaction) and Shariah structuring, Fatwa pronouncement, Shariah advisory services, and in-depth review of transaction documents for a wide range of Shariah compliant products. Mufti Aziz is a Member of numerous Shariah Boards and also a member of Shariah Advisory board of AlHuda CIBE. He is currently working as Member of F & SSB for First Capital Switzerland Bank Trust, DIFC Dubai, UMEX Group UK, Kijani Fund, LMG Fund as well as Shariah Advisor for Mawarid Consultancy, FCS, Crowe Horwath UAE, Islamic GDP UK, Shariah House Bahrain, Inclusive Resources Management (IRM) Islamabad and UMEX Life (Takaful) Mauritius. His sound knowledge and services in Islamic Finance is prevalent globally. He has written numerous books and research papers, as well as; delivering training, conducting market research on the prospects of Islamic finance worldwide, with particular focus in UAE. With a keen aptitude for innovation and learning, he sets the supreme standards of Shariah expertise to any Islamic financial institution. Mufti Raees Ahmed has sound knowledge of Islamic finance. He passed Dora Qaza-wa-Tahkeem from Jamia tul Rasheed, Karachi. He has honor of various certifications in the field of Islamic finance which includes; Takhsus – Fil – Fiqah (Specialization in Islamic Jurisprudence - equivalent to PHD), Shahadatul Aalamia (Equivalent to M.A Arabic & Islamic Studies) and Wifaq-ul-Madaris Arabia Pakistan. Currently, he is the member of Shariah Advisory board of AlHuda CIBE. He has profound skills in Islamic Finance Trainings as he has conducted numerous training workshops in various Islamic financial institutions of Pakistan. He is internationally renowned Shariah Scholar and Chartered Accountant with versatility in Islamic Finance. Currently, he is the Chief Executive Officer of Moolla Capital. Previously, he was the director in Nelson Mandela Cabinet. He is the Shariah Advisor of Sentio Capital Management and member of Shariah Advisory committee of AlHuda CIBE. His technical and professional services are recognized around the globe, principally in Islamic finance system development, product development, Shariah compliance and transparency in the overall operations in Islamic Finance.